One of the greatest misconceptions surrounding defensive shooting is the “kill shot” or one shot kill that we see so often portrayed in movies and TV. 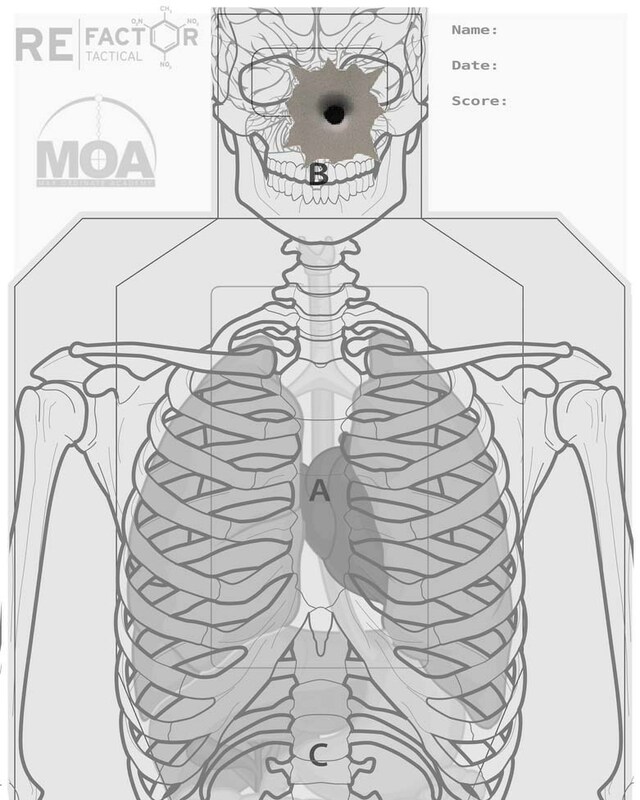 Many gun owners and defensive shooters think “Oh well I carry a .357 Magnum or .45ACP, so I will only need a few shots to stop any threat.” Lets take a moment to understand what is going on with the body when bullets start to fly, and see if that holds up to some scrutiny. To put it simply, good defensive shooting or “shooting to stop” is comprised of a few variables, namely, multiple rounds into the target with good targeting. Good targeting means you are targeting the center of mass and ocular occipital zones of the assailant. Tim Larkin of Target Focus Training describes it best when he says “the problem is not the bad guy’s gun or knife, the problem is that his brain is telling his finger to pull the trigger, or to lunge with the knife.” So our job is simple, to disrupt or sever that connection effectively removing the assailant’s ability to continue to threaten our lives or the lives of those we love. This is why we target these zones. Think about what is going on physiologically when we target these vital organs. First of all, the job of the heart, lungs and liver is to deliver clean, oxygen rich blood to the brain. By destroying or perforating these organs we diminish or destroy their ability to do so, but how long can the brain still function without this vital blood supply? A generally accepted figure for an average person is 2-3 minutes. So just disrupting/ damaging these vital organs often isn’t enough for shooters to win or even survive a gun fight. 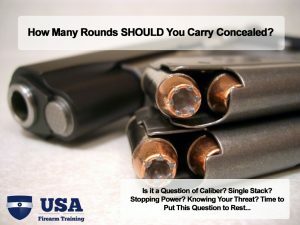 If the shooter uses only 7 or 8 rounds then takes cover you could be dealing with an assailant still trying to kill you for up to 3 more minutes. It’s important to note that in the case of some types of narcotics use, the body’s ability to shut itself down due to massive trauma is affected, meaning that even more rounds and better, more vital (albeit more difficult) targeting is necessary in order to stop the threat quickly. You might have noticed that the upper portion of the skull is missing from the target completely. The “Hollywood headshot” (by that I mean targeting the forehead area) is just that, hollywood stuff not real life. We look at this from a couple different angles. 1. The assailant is not using the upper right and left hemispheres of his brain to commit a crime. It’s not the hemisphere responsible for logic and reasoning that he is using to commit the crime, he is not using the artistic or musical hemisphere of his brain to commit the crime. Instead these types of behaviors originate from the base of the brain in the medulla oblongata, “the animal brain” responsible for our most basic instincts/processes and is in charge of regulating body systems and muscle movement. Are you able to move your arm? The base of the brain is the center that sends the right signals to the muscles that make that happen the way you want. Also the base of the brain is more accessible lying behind porous sinus cavities and thinner bone. 2. The forehead contains one of the harder bones we have in our body, several years ago I remember reading a news story about a young man who took a 9mm to his forehead as part of a gang assassination. The shooter presses the trigger and sends a single 9mm round through the scalp, the bullet “ricochets” off the frontal bone of the boy or more accurately is redirected by the super hard bone that makes up his forehead. The round travels under the scalp to the crown of his head where it tore a 3 ¼ inch hole in the top of his head. To the shooter it looks like the movies, ‘small hole in big hole out this kid is dead’ but he is not dead he wakes up in a hospital 9 hours later with what I can only assume is the worst headache of his life. Not so great article. Left about 80% of the info out. Is this supposed to be just a teaser article? William, we’ll do some updating and add more detail. Anything else specifically you were hoping to see in this? 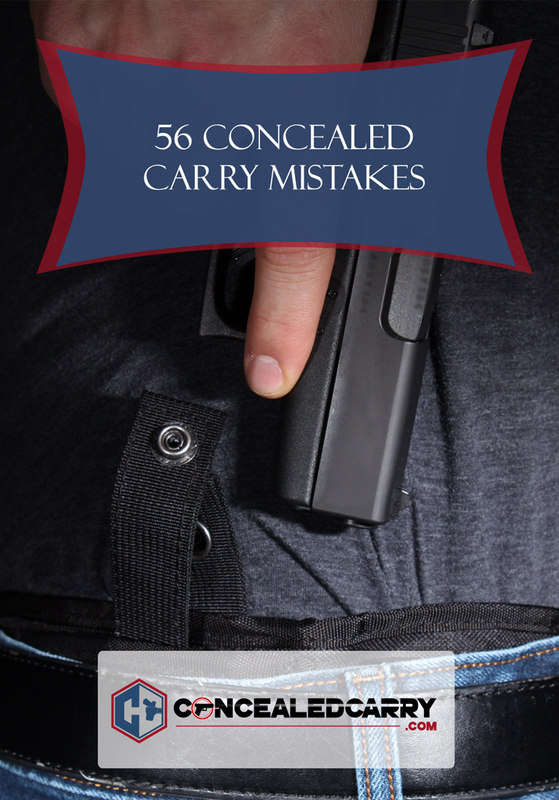 Also read How many rounds should I carry concealed….much more informative.. Thanks Craig. Good stuff in there! One thing to remember. if you do shoot someone. to protect yourself/family. Remember. When the police come. Give your name and say. I was in fear for my life. I want a lawyer. Say no more until you have one with you. Not one word. Know your rights & use them.. The police come after the fact… you are on your own.. Again. Know your rights & use them..
My wife and I had a lesson 2 weeks ago from a very seasoned professional and his advice was the same. Do not get into a conversation with the police, get a lawyer immediately. Do not speak to family, friends or anyone else until you have a lawyer. In trying to help family or friends could say something that although well intended could be used against you later. I was also surprised to learn that in my state when you shoot a home invader, you will be arrested until the police check all the facts, another reason to say nothing until you have a lawyer with you. Not necessarily very good advice. While you do want to say as little as possible that could later complicate any defense you may need to mount, you should try to give the police a little more information if it is pertinent to your case. These could be things like there was another assailant, or where your brass landed (snow bank, by the sewer grate, or where the incident started if you had to move from that location in the course of the assault). You should discuss with your lawyer, in advance, what he or she thinks are the points you should make and what you should keep quiet about. … absolutely vital information – with excellent diagram illustration – that old saying – rather to be judged by 12 than carried by 6 – and KEEP quiet until you have your lawyer present – there is a reason police get paid administrative leave after they are involved in a shooting – they are NOT your “friends” in this.scenario. Should as ccc gun owners, make sure there is only one story to be told about the shooting? If I wing him, he might want revenge or a law suite against me. I’ll hit him no problem, should I shoot to delete him or wing him? I’m already in fear of my life. So it’s a split between the two, I’m scared and nervous. What say you? Great article. Could someone direct me to where I can obtain targets like the ones within this article ? Many thanks. Hi Steven, there are a lot of different companies that make targets. One place I have used to get targets in the past is Law Enforcement Targets Inc. http://www.letargets.com They have a HUGE selection of different targets depending on what you want to train. Check them out and it should be a good jumping off point. You could also do a google search for something like ‘tactical training targets’ and you will get similar target manufacturing companies. Good luck and have a blast training! need to attend a ccw class I found it very informative. I’ve never shot a man. I have had to shoot dogs and deer to put them out of their misery. It is very disconcerting to need multiple hits even when using JHP .38 or .44 Special. Animals, smaller than men, can absorb a great deal of energy and not stop. That is true, Kivaari, and something I also did not realize until after shooting a squirrel in the head for food and a rabid skunk in the back of the head. It is not what we expect after watching movies, they don’t just fall over but need multiple shots, even with a .45 ACP in the case of the skunk. Very upsetting. Tomorrow get the phone numbers of well-known criminal defense lawyers in your area. In Kalyforniya there are certified criminal defense lawyers. Make sure the numbers you have are for those types. It won’t do you any good to call the lawyer who handled your fender bender a couple of years ago unless his or her firm has a criminal law specialist on staff. Carry the numbers in your wallet so that when you are nervous and sweaty with hostile cops surrounding you, you don’t have to thumb through the phone book (you can tell I’m old school) to get the number of an attorney. Be prepared to pay big bucks. If you can’t afford an attorney, you will get the public defender appointed to defend you. You should question him about how many self-defense cases he has handled. There may be someone else in the P.D. office who has more experience. Request that person. Having the P.D. appointed to represent you will not be a free ride. You will be expected to reimburse the office according to your ability to pay. You can hire a private lawyer to represent you just for the police interview and go P.D. if you have to go to trial. Remember the mantra “I was in fear for my life.” Be sure to tell your spouse that he or she doesn’t have to talk to the cops either and can request a lawyer. If spouse was on scene, the DA may threaten to charge your spouse to act as a bargaining chip to force a guilty plea to some charge. It’s a bluff, even if they file an information. Your lawyer should have self-defense experience. If he/she doesn’t, get a referral to one who does. Preferably self-defense trial experience. Copping a plea isn’t trial experience. Copping a plea isn’t necessarily a bad thing, just make sure you understand all the downsides to such a deal. Try to be realistic about your situation. Here we have a parting of the ways. The great Jeff Cooper always said to go to headshot at this juncture. In reality, many shooters quite capable of random torso shots are incapable of hitting headshot on a wildly and erratically moving target when they’re under stress. If you feel able to hit the head—go for it. If not, keep pumping bullets into the torso. There is the wildcard possibility of hitting the spine. You WILL let his rosewater fluids drain out faster and you WILL destroy SOME of the muscles that he’ll need to swing a non-firearm type weapon. Your response is a function of the weapon at hand. 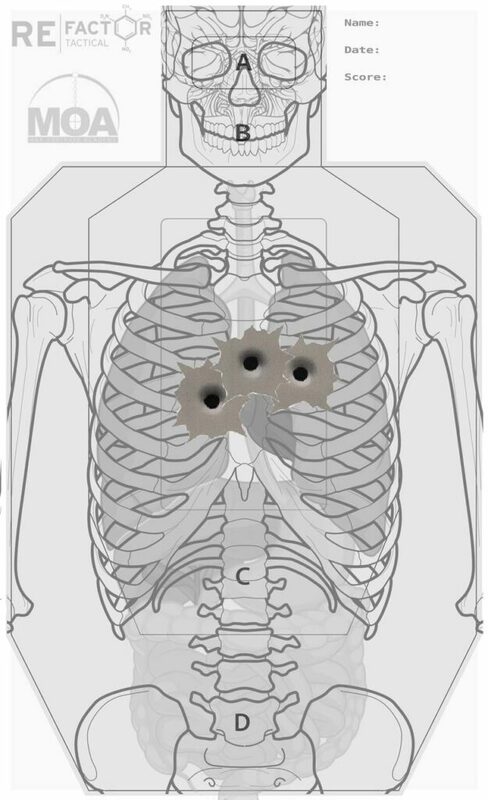 If that is your shotgun loaded with #2 shot, and the attacker is within close range, you shoot for the belly button. That first round will chop them in half severing the spinal cord. That origional shock to the nervous system destroys it’s capabilities to follow any action. Taught to me by a member of the Sherriffs office. temporarily disable them. You follow that with blowing off the shoulder with the weapon in that hand. I specifically like the 45 for close range combat IF that 12 gauge is not in hand because it will knock down even the highest druggie assailant. That is why the 45 was developed. You “just ain’t high enough to absorb a few well placed rounds”.